How’s your reading going? I just started Chapter 4: Patient, Firm and Vigilant. In the New York Times Book Review this Sunday, Jeff Shesol wrote a review of The Cause. What do you think? I am looking forward to our conversation about the book on Sunday, June 3rd at 6 pm. The trouble with liberals, Robert Kennedy complained in 1964, was that they were “in love with death” — they romanticized failure, finding greater nobility in losing the whole loaf than in winning half of it. In the years since then, liberals have not only lost a lot of loaves but have acquired a mess of other troubles, among them the difficulty of getting anyone to admit to being a liberal. To wear the label today seems an act of defiance, much as members of the gay rights community have appropriated, from their antagonists, the epithet “queer.” Liberalism — for decades (centuries, even) the prevailing philosophy in American political life — has become the creed that dare not speak its name, except late at night on MSNBC. The story Alterman tells is in large part a familiar one, but worth restating given the strenuous — and to a distressing degree successful — campaign by conservatives to rewrite the entire history of liberalism, and indeed of America itself in the years before the Reagan “revolution,” as one long love affair with central planning and welfare dependency. Alterman works hard to correct the record. By concentrating on the men and women who have defined liberalism in the modern era, “The Cause” lends a human dimension to the dramatic expansion of the federal government, and of the public’s expectations of government, during the New Deal; the postwar faith in economic growth as the engine of social progress; liberalism’s landmark achievements during the early years of Lyndon Johnson’s presidency; its embrace of civil rights and other new expressions of liberal ideals of freedom, equal opportunity and the dignity of the individual; and, from the 1970s onward, its failure to square its ambitions, at least in an enduring way, with the values and norms of middle-class America and the slow corrosion of the American dream. Much of this unfolds, in “The Cause,” by inference, or as interstitial material between character sketches. This is less a book about liberalism than it is a book about liberals — stretch limousines full of them, fleet after fleet. Liberalism, Alterman suggests, is a movement of “many different faces,” and his book, at times, appears intent on showing them all: faces of intellectuals, faces of politicians, faces of protesters and filmmakers, philosophers and diplomats. There is an indiscriminate quality to Alterman’s attentions, which too often seem to reflect his personal passions rather than a careful weighing of a figure’s historical significance. Thus Oliver Stone gets just as much ink as Walter Reuther, a towering figure in the history of organized labor; Bruce Springsteen, about whom Alterman has written a previous book, receives more airtime than Hubert Humphrey and Thurgood Marshall combined. (Bob Dylan, meanwhile, merits only passing mentions.) Alterman’s choices can be interesting and even brave; one has to admire his willingness to include intellectuals like Lionel Trilling and Richard Rorty in a work of popular history. But in such a crowded field, their relative influence — and anyone else’s — becomes impossible to assess. The net effect is that of a Pointillist painting, though when you step back from the canvas and squint a little, the dots fail to cohere into a discernible image. As “The Cause” smash-cuts from Henry Wallace to Richard Hofstadter and from Gloria Steinem to Gary Hart, Alterman pauses all too infrequently to reflect on the “cause” — or causes, or ideals — that connects them. This, to be fair, is a challenge, one compounded by liberal schisms and by the nebulousness of much liberal thought; Trilling, as Alterman notes, described liberalism as “a large tendency rather than a concise body of doctrine.” Liberals, quite unlike leftist radicals or conservative ideologues, tend to reject dogma and theory in favor of “bold, persistent experimentation,” asRooseveltcalled it, or, put another way, pragmatism grounded in enduring, yet evolving, values. It is hard to dissect a gestalt. As “The Cause” proceeds toward the present day, Alterman reveals a revanchist streak. Urging liberals to “recapture”Roosevelt’s “militant and optimistic spirit,” he casts a cold eye on virtually every effort, over the past 30 years, to do just that. The intimation of “The Cause” — of both its title and its tone — is that there really is a true faith against which subsequent vintages of liberalism must be judged (and found wanting). “Neo­liberals” like Gary Hart are dismissed as callow and cold; “New Democrats” of the late 1980s are overly in thrall to their corporate donors; and Michael Dukakis, poor Michael Dukakis, is not merely a loser but “no liberal at all — just a sign of the desperate times into which American liberalism had fallen in its apparently endless quest for solid political ground.” As for Clinton, Jimmy Carter and Barack Obama, the Democrats who have been elected president since Johnson, “The Cause” flays all three for yielding to “political pressures” and becoming “far more conservative” as president than as presidential candidates. Each of these points is arguable in its own right. But taken together, they reflect a contempt for compromise. Without proposing an alternative path, Alterman leaves liberals in a familiar dead end. This, regrettably, is the sort of peremptory judgment that holds liberalism back (just as the conservative equivalent, with its fixation on Reagan-era doctrines and its incantation of old pieties, binds the Republican Party in a kind of intellectual aspic). “The work goes on, the cause endures,” said Robert Kennedy’s brother Edward — one of the heroes of this book — in his stirring speech at the 1980 Democratic National Convention. But if it really is to endure, then the means of advancing it will surely have to evolve, taking full account of unpleasant realities: the scale of the debt; the depth of public suspicion not just of government but of most institutions; courts that have grown hostile to claims of civil rights and assertions of governmental power; and the tenuousness of our commitment to the common good. The work, indeed, goes on. Jeff Shesol, the author of “Supreme ­Power: Franklin Roosevelt vs. the Supreme Court,” was a speechwriter for President Bill Clinton. Hello everyone. 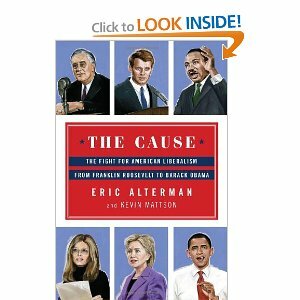 Here is our next book club selection: The Cause: The Fight for American Liberalism from Franklin Roosevelt to Barack Obama, written by Eric Alterman and Kevin Mattson. 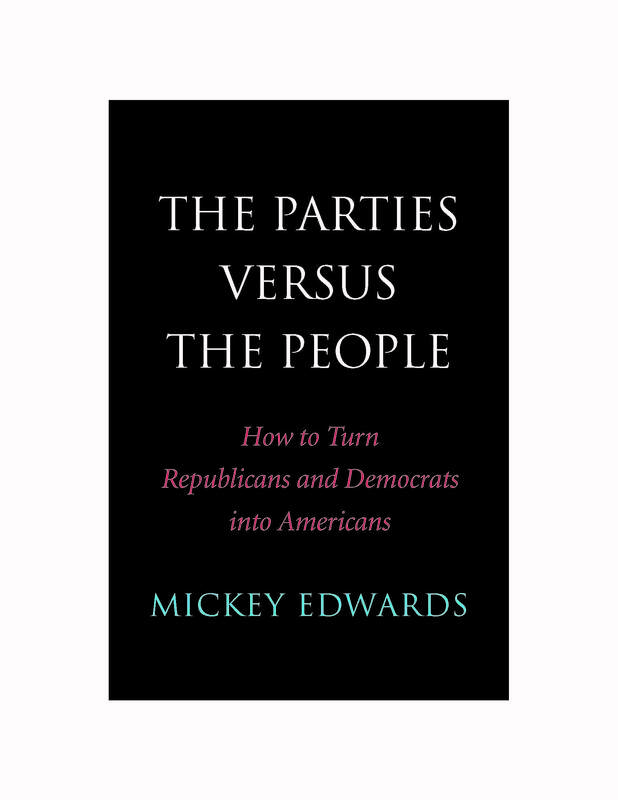 Mickey Edwards recommended the book when he was with us at Politics for the People. I hope the book will be thought provoking and stimulate a conversation. I will be hosting our discussion of The Cause on Sunday, June 3rd. Hope you will pick up or down load the book and start reading. I will be posting reviews and thoughts about the book along the way. 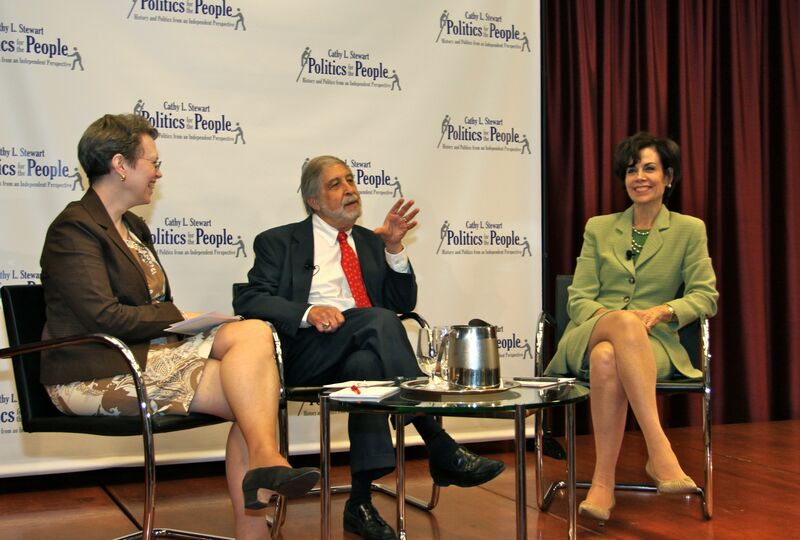 You may have just seen my Politics for the People event on C-SPAN where my guests, former Congressman Mickey Edwards and IndependentVoting.org President, Jackie Salit discussed the role of independents in U.S. Politics. Let me hear your thoughts on this critical topic in the comments section below. In 2002 I founded Politics for the People as a free educational series for independent minded New Yorkers and I’m thrilled to be “taking it national” with a Blog, a Book Club for independents and now this C-SPAN broadcast. So, sign up at right below the “Follow us via Email” heading. 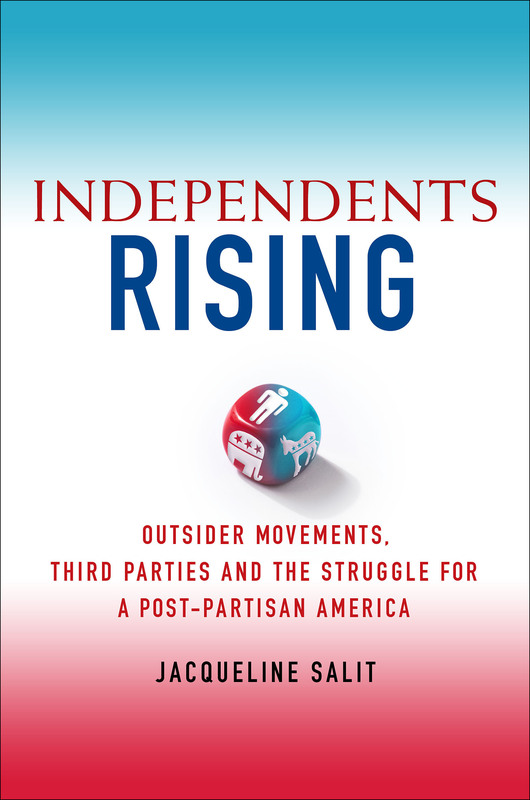 You’ll receive updates when new posts are made to the Politics for the People Blog and join my Book Club for independents. We’re about to make our next selection which we’ll discuss together in a national conference call in June! PS – Jackie Salit and Mickey Edwards both have forthcoming books which are available for pre-order from your favorite online bookseller. CSPAN will be airing Politics for the People tonight at 10:30 pm ET. The program will reair at 11:30 pm PST, that’s 2:30 am ET. I hope you will tune in, and then send me your comments. 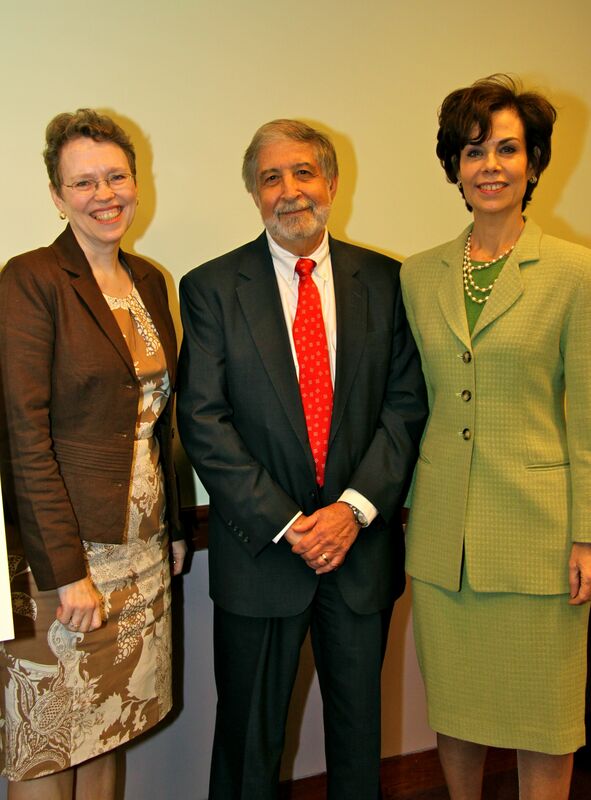 Last Friday evening, former Congressman Mickey Edwards and IndependentVoting.org President Jackie Salit were my guests at Politics for the People at the Newman Conference Center at Baruch College. Our topic: The People vs. The Parties. Both Jackie and Mickey have books coming out the summer. We had a rich and fascinating discussion with our audience. We talked about the negative role of the political parties in US, the cultural component of change, the competing powers of our government and the role of the President, the massive political disalignment of the American people from the political parties and more in this wide ranging conversation. CSPAN is planning to broadcast Friday’s Politics for the People on Thursday, May 3rd between 8-10 pm. As soon as I know the exact broadcast time, I will get a post up right away. I hope you will set your DVR or plan to tune in and watch.